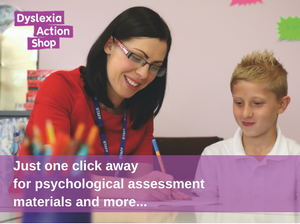 DADIP61– This Level 5 Diploma has been designed as a training programme for teachers, teaching assistants, support tutors and practitioners who would like to gain further experience in supporting individuals with dyslexia/SpLD. The Diploma gives participants to access and training to a specialist literacy programme that can be used to provide literacy intervention to individuals of any age. There are two parts to gaining the Level 5 Diploma details of which can be found through the drop down menu’s below. On completion of one of the above Pathways, participants can progress to the Level 5 Certificate in Strategic Teaching Support a specialist teacher training course. This level 5 Certificate course is the second part of the Diploma qualification and provides an introduction to a structured specialist teaching programme that can be used in school or college settings or with individuals of any reading age in private practice. Qualified specialist teachers with a Level 5 or Level 7 specialist SpLD (ADG/ATS/APS) teaching qualification who wish to gain an introduction and practical experience of the Dyslexia Action Literacy Programme are also eligible to apply for the Certificate course only (DACRT60). Level 5 Certificate in Strategic Teaching Support which makes up the second part of the Diploma. The Level 5 Diploma (DADIP61) confers eligibility for Associate Membership (ADG) of The Dyslexia Guild recognised as the first grade of professional membership for a specialist teacher. The Level 5 Diploma is also accredited by the British Dyslexia Association for Approved Teacher Status or Approved Practitioner Status (ATS/APS) and approved by The CPD Standards Office.